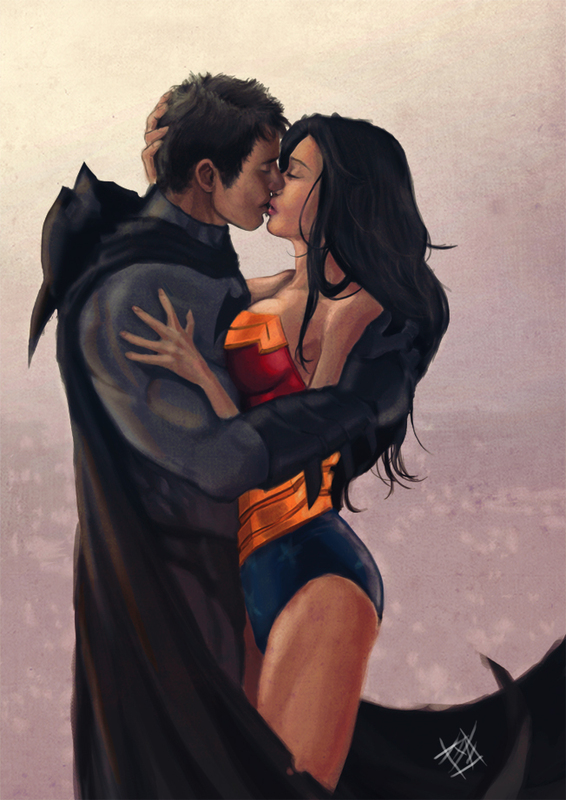 Batman & Wonder Woman. Beautiful art.. HD Wallpaper and background images in the Justice League club tagged: justice league batman wonder woman bruce wayne princess diana drawing. No! No! No! So wrong!! So so very, very wrong!